Scheduled solidarity demonstrations will be held in Spain, Mexico, Holland, Belgium and a host of other countries. 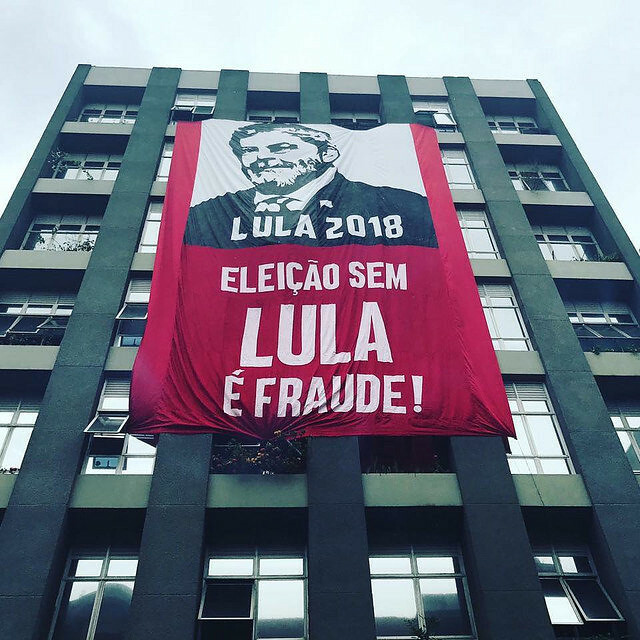 Demonstrations in support of former President Luiz Inacio Lula da Silva are taking place in various countries across the globe in the lead up to his appeal hearing on Wednesday, which is to happen in the city of Porto Alegre, capital of Rio Grande do Sul. “Lula is considered a legitimate political leader both in and outside Brazil. He has the the legal right to a fair trial. And that isn’t what is happening, with him being tried for crimes with no evidence,” said social worker and organizer Marcia Nunes from Holland. Meanwhile, in New York City, Lula supporters gathered in Union Square on Sunday to defend the former Brazilian President. “Our act took place on Sunday at Union Square, which is a symbol of political resistance and social struggle. Since the impeachment proceedings against former president Dilma Rousseff, which we consider to have been a coup, there have been various demonstrations in Union Square,” Eduardo Vianna, university professor and organizer of the protest, stated. Scheduled solidarity demonstrations will be held in Germany, Spain, Mexico, Holland, Belgium and a host of other countries. These international acts coincide with national mobilizations in defense of Brazil’s former President. In the context of heightened political tensions, members from various social movements including the Brazil Popular Front (Frente Brasil Popular) are currently holding protests across the country in defense of the former president. Prosecutors claim that after leaving the presidency, Lula da Silva allegedly accepted US$ 1.1 million in bribes from construction company OAS to pay for the remodelling of a beachside apartment in Guarujá, São Paulo state. However, leading up to the court ruling, various high-profile public officials and legal experts have issued statements of support for the former President, arguing that the charges are politically motivated attempts to prevent him from running for re-election in the 2018 October general elections.